Through our experience as Senior Management / HR Director in various Company. y Culture Changed “ and “ Productivity Enhancement”. Only “Formal Changed” like a) setting limitation of working time and b) new working system implementation is not really “Work Reform”. Establish Company Vision, Mission, Values to identify Company Direction. Re-develop HR Management System especially “Appraisal System” and “Compensation System” based on Company Vision, Mission, Values. 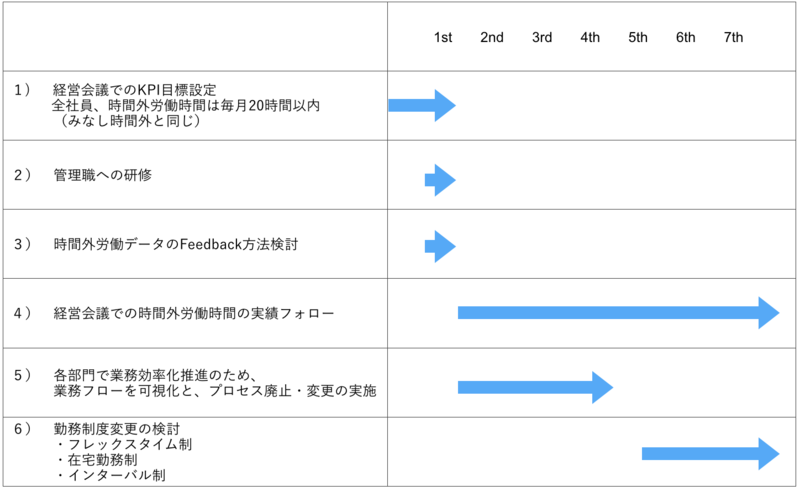 Re-develop “Grade System” “HR Development System” and “Recruitment Process” if needed. Enhance Mandatory Meeting (Interview) between Supervisor and Subordinate. Enhance Mandatory Meeting (Interview) between Supervisor and Subordinate to confirm Subordinate’s detail working process. Clarify the working process to eliminate and transfer from other group. Re-develop each working process to improve productivity. 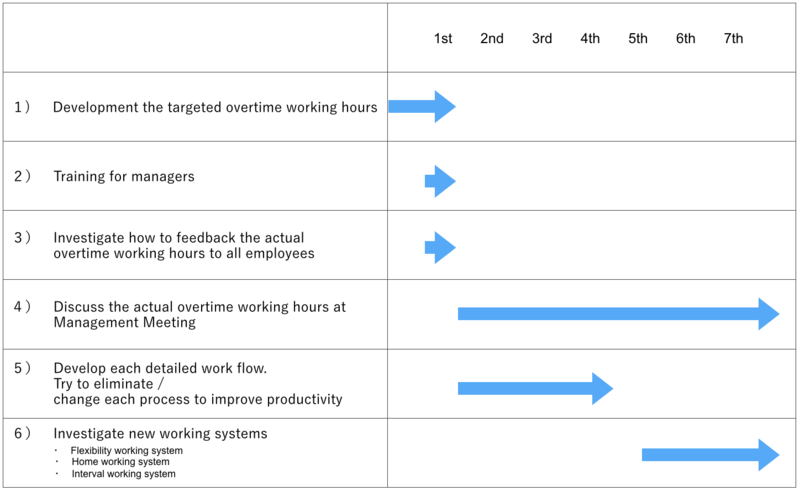 Setting Company Targeted Overtime Working hours. Setting each KPI and reviewing monthly. Sharing the results in Management Meeting. © 2012-2019 AU.HR CONSULTING CO., Ltd..